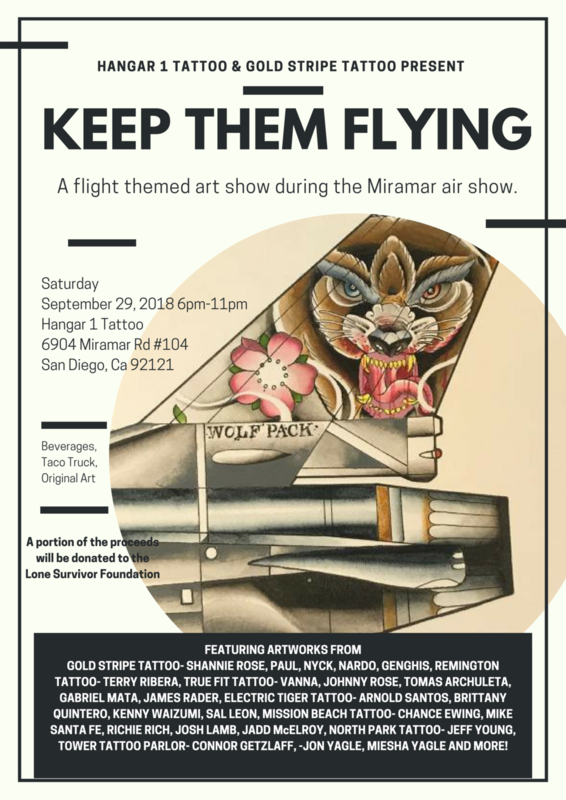 Gold Stripe Tattoo and Hangar 1 Tattoo are working together to present a flight themed art show that coincides with the Miramar air show on September 29th. A portion of the proceeds will be donated to the Lone Survivor Foundation. We hope to see you there!